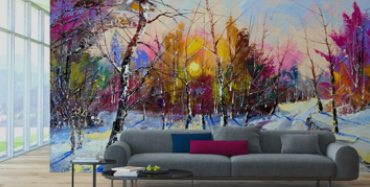 Welcome to WALLTAT's biggest SALE yet! Enjoy 25% OFF instant savings on all orders placed until midnight, Monday, 12/17/12. The WALLTAT Christmas ordering deadline is December 17th at noon CST for those of you who would like to put Wall Decals under the tree this year. This includes wall decal products from our standard collection and does not include products from the full-color or wall paper collections. A great gift idea for the holidays are Gift Certificates that can be redeemed on any of our products within a year of the purchase date! 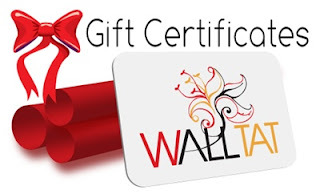 The electronic WALLTAT gift certificates are also included in the sale and can be easily printed from your own computer. It's that easy! Our elves are eager to create your Santa Sale orders!